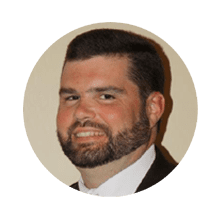 Ryan brings to MCS 15 years of experience in management and operational processes and eight years of experience in risk adjustment. Ryan has assisted medical groups in raising their risk adjustment factor (RAF) scores to their proper levels. He directed the movement of a 10,000 member group up 43% over a two-year period, and an 1,800 member group up 53% in the first year. Ryan achieves these results through chart documentation audits, provider and staff documentation training, and provider relationship building. In his most current role, Ryan works with multiple groups to optimize their RAF score, while at the same time achieving CMS 5-Star quality. Ryan demonstrates that getting a group’s RAF score to the correct level not only drives revenue but also leads to better patient care with improved documentation habits. Ryan obtained his Certified Risk Adjustment Coder (CRC) credential through the AAPC.